When it comes to power tools, it is important to make sure what you buy is worth the price. Besides, these tools do not come cheap. In fact, they’re quite expensive. However, because they’re expensive, it means that these tools are made of high-quality materials, can withstand the wear and tear without bogging down and can complete tasks efficiently. 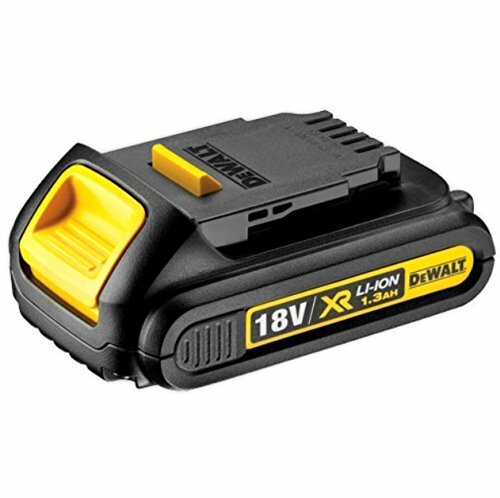 DeWalt, a famous American worldwide brand of power tools and hand tools, is the ultimate manufacturer of DeWalt 18V XR Lithium-Ion Battery, a convenient battery source for your power tools and hand tools. Today, conventional tools are seldom used. With the emergence of power tools, construction, design, woodworks and other DIY projects are easier and faster. With various changes in the manufacture of power tools, especially cordless ones, the competition of power battery technology is seeing rapid changes. Whether you’re repairing a part of the house, installing paintings on the wall, mounting your television or building a home, you will need a battery source for all your power tools. Cordless power tools are better and more convenient since you can move around the house while completing all tasks. This battery source is indeed one of handy men’s must-haves. The DeWalt 18V XR Lithium-Ion Battery is a battery pack suitable for all your power tools needs, and its durability will last you a long time. Now, let’s see if this battery technology set is worth the price. The first thing I look for when I purchase my power tools and accessories is its build quality and design. The first time you hold a tool, you’ll quickly know if it’s cheap or if it’s made from high-quality materials. 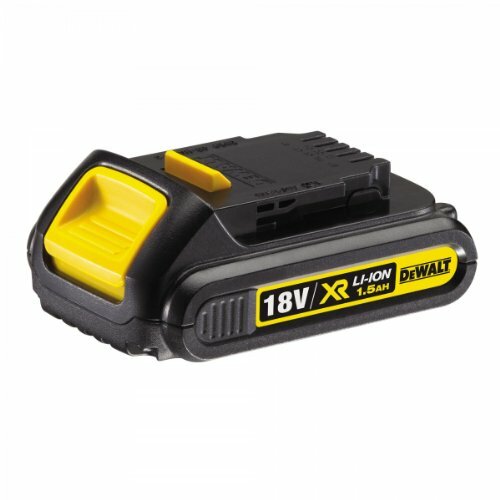 The DeWalt 18V XR Lithium-Ion Battery is one of the devices that every individual should have in the house. Made of high-quality and sturdy materials, the DeWalt 18V XR Li-Ion Battery is every man’s must-have. If you’re into power tools, this is the best battery technology for you. It’s lightweight and has a case for easier transport from one place to another. The lightweight design provides the user with upgraded 4Ah Power without increasing the battery’s size and weight. It has a LED stage of charge indicator to help you manage pack charging, and you’ll know when to recharge the battery. Weighing just 0.61 kilograms, this battery pack is light, handy and portable. You can literally take it anywhere in the house, in the backyard and even at work. It’s also durable and can definitely withstand continuous usage and the wear and tear. You will be glad to know that it will last a long time, reducing the need for replacements now and then. These battery packs are pricey, and it’s reasonable. Being handy, you can take this with you to work, move around the house without those pesky cords. There’s no need for extension cords that make work extra challenging and limited. You are free to go anywhere with your battery pack and power tools. But don’t underestimate this small yet terrible battery pack. The DeWalt Li-Ion battery technology offers extended runtime and optimized power to finish your work faster and easier. Furthermore, the battery has no memory effect and virtually no self-discharge to use the device for maximum productivity. This also means less downtime. Another good point for this battery technology is that it’s compatible with all DeWalt Li-Ion 18V tools. The compact lithium ion pack provides up to 33 percent more capacity than the standard ones. The battery has a voltage of 18 V and capacity of 4.0 Ah. It’s an excellent small battery, and its build is surely high quality. It kept going for long hours of drilling and using other power tools. It has excellent electrical characteristics. The overall life of the battery is superb. I used it for various applications, the whole day with any power tool. I am not worried that this battery pack will wear out soon since it has no memory effect and it can repeatedly be used without any problem. One of the plus points this battery pack has is that it doesn’t self-discharge. So, you can use it without worrying about losing the battery life. Self-discharge means losing some of its power when it’s not in use. Since this battery pack performs well, it’s a must buy. Think of it as an investment in your power tools. You’ll use it for a long time for all possible applications. Hence, it’s a power tool device that can provide what you need every time you need it. You will surely maximize its price and performance. 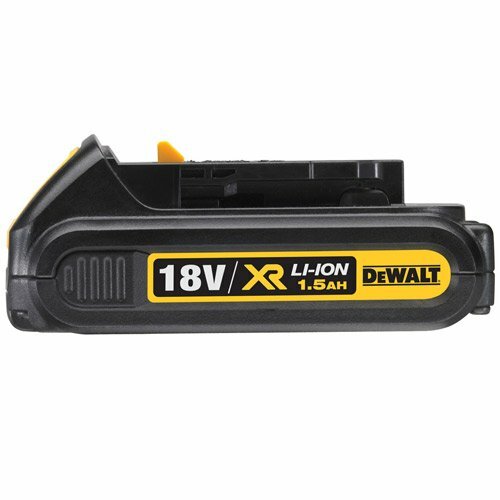 If you’re looking for a battery that can withstand your power tools the whole day, the DeWalt 18V XR Li-Ion Battery is perfect for you. All I can say are praises for this incredible battery pack. When I tried it the first time, I strongly recommended it to my family and friends. You don’t have to worry about having cords everywhere when you need to use your power tools. The battery pack is lightweight, handy and it’s so light, you can use it literally on anything. Portability is one of the characteristics I have been looking for in a battery pack. This amazing battery pack has lived up to my expectations. It does not self-discharges, it has no memory effect and can withstand the whole day with its power. I didn’t know that all that power and long-lasting electricity can fit in just a small case.